Proving that traditional doesn’t mean old or outdated, Bentley has reinvented their designs for years without sacrificing the quality of performance and luxuries that have made them popular for decades. 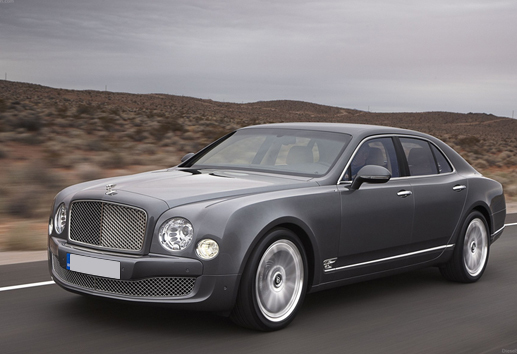 Newer Bentleys feature strong engines, lush interiors and a distinct body style that truly showcases everything from the design shape to the paint color. Instead of performing all sorts of unnecessary maintenance that doesn’t help your vehicle and makes your visit more costly, Paladin Automotive focuses on fast and friendly services done right the first time. Our shop takes care of all maintenance and repair needs your car may have so you can trust in your vehicle’s performance to last many years to come. Call us to schedule an appointment for your car today. My car broke down across the street from Paladin auto repair 2 weeks ago. Being a female driver i couldn'd move d car of the busy intersection. Chris noticed from the shop that I needed help and pushed my car into a safe spot. One of the most honest and reasonably priced mechanics I have ever had the pleasure of doing business with multiple times with multiple cars...not only does he help my husband anytime there's an issue with his Nissan 350z but he also takes care of my Ford Edge.